What can a business do without cash? Not much these days, which is why the most successful businesses choose factoring to resolve cash flow difficulties. 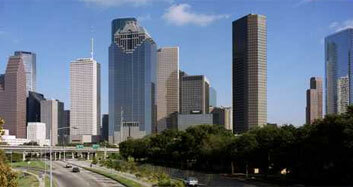 With Houston Factors, you can get your business growing again and leave the cash flow problem behind. Call Houston Factors today for a free, no obligation quote and get your business back in the game where it belongs. Since 1969, we‘ve been helping businesses just like yours get on track financially with a dependable, local factoring solution. It’s time to let business owners do what they do best – so Apply Today & leave the stress behind! With Houston Factors, invoice factoring is easy. Simply fill out the application and within 24 hours, you could be holding cash in your hand. Remember, factoring is not a loan, so there are no long term contracts or hidden fees. It’s a simple solution for improving cash flow that will help you continue to grow your business even if your customers haven’t paid yet. Factoring is a no risk solution to cash flow problems. There’s never a credit check to add capital to your business. In fact, we assume 100% of the credit risk. That’s right. You can spend more time growing your business instead of worrying about funding it. What is there to lose? Invoice factoring is used frequently by many of the most successful businesses. Nevertheless, financial information is private and that’s why it’s important to choose credible factoring companies that you can trust. You put everything into your business. You want to make certain it stays in good hands. Houston Factors understands the importance of dependability. Our team of professional credit and collection services can help you manage your invoices and accounts receivable. With 24/7 account access, we work hard to provide a service you can depend on. Apply Now to learn more!